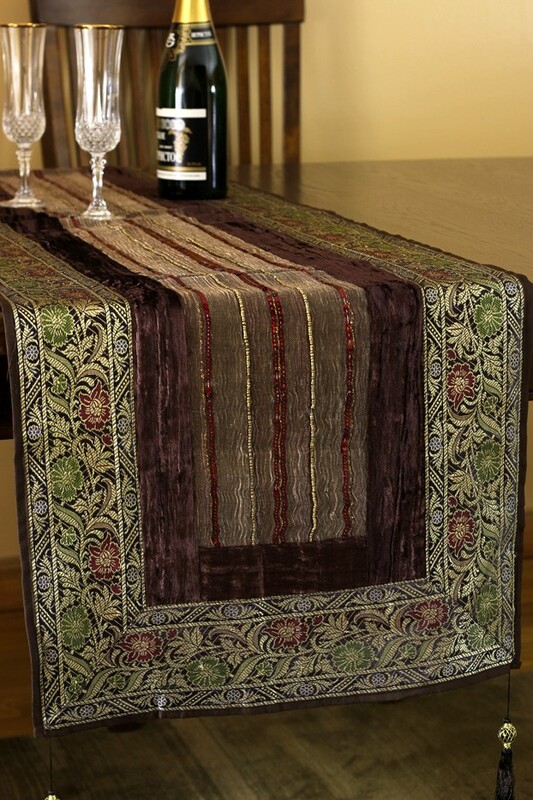 Gorgeous yet understated elegance of the Arabian Velvet Table Runner will bring style and glamour to your table tops. 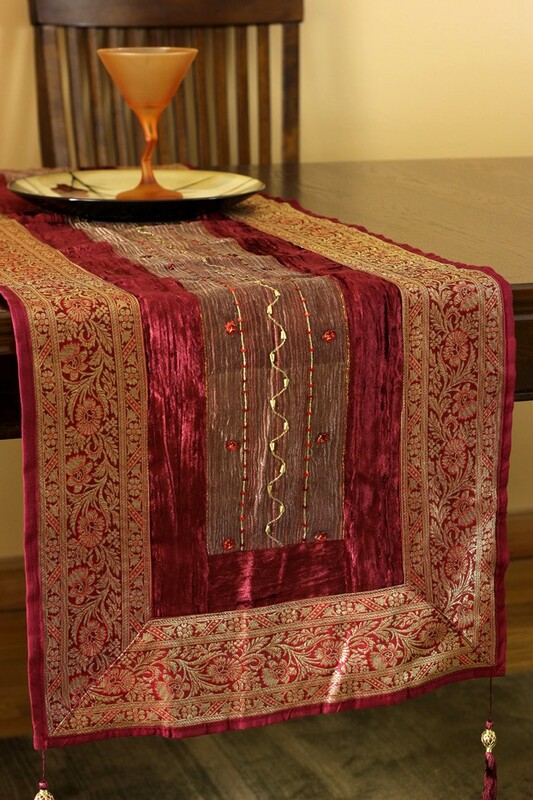 Soft velvet and shining silk are weaved together in this stunning table runner expertly crafted in India. Discover the luxurious Arabian Velvet Table Runner from our exclusive Banarsi Designs Collection. 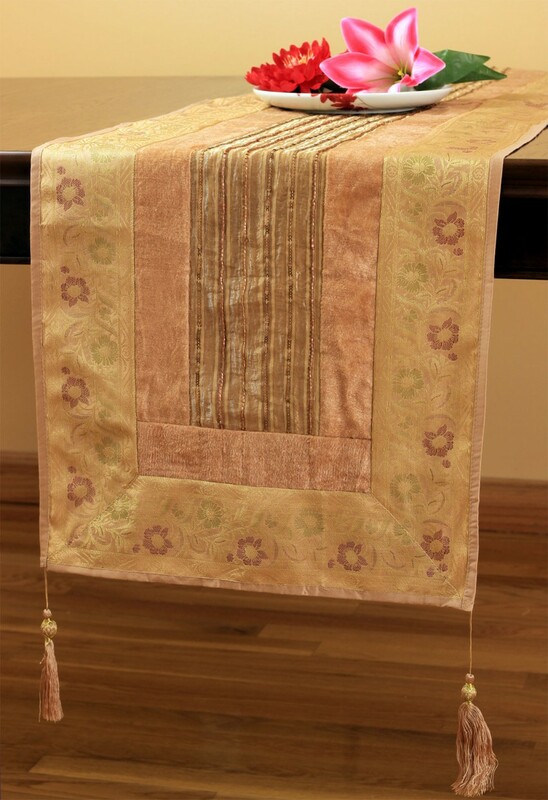 Soft velvet and shining silk are weaved together in this simply stunning and uniquely crafted table runner. The center of the table runner is made from soft, plush velvet and smooth silk and sequins, creating a look and feel that is completely unique. It is versatile enough to be used on a dining table, dresser, vanity or as an accent piece on a sofa.